NICKENSON TAKES CENTER STAGE AT ZENGLEN MIAMI WELCOME BACK PARTY FOR REGINALD CANGE (SEE VIDEO) + PICTURES INSIDE STRATEGY MEETING OF FORT LAUDERDALE FESTIVAL! 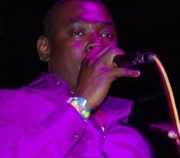 *NICKENSON PRUDHOMME TAKES CENTER STAGE AT ZENGLEN'S WELCOME BACK MIAMI PARTY (SEE VIDEO)! *FORT LAUDERDALE FESTIVAL STRATEGY MEETING PICTURES: KM TAKES YOU INSIDE THE ROOM!